This week, both the Italian and French PMs explicitly dismissed the notion of boots-on-the-ground military intervention against ISIS in Libya. Secretary General Jens Stoltenberg also ruled out such an intervention. Likewise, Algeria and Tunisia rejected intervention during a regional meeting on Libya. All of this does mean that these actors are not formulating plans of airstrikes, special ops operations and possibly even the training of Libyan militias (e.g. Misratan 166 Brigade). Meanwhile in Obama’s speech to the American people about ISIS and how we will not combat terrorism with hatred of Muslims, mention of Libya was conspicuously absent indicating that Obama essentially lacks a plan on how to handle the political crisis in Libya or the ISIS threat emanating from there. However, the American government has finally confirmed that they successfully killed Abu Nabil al-Anbari on the day after the Paris attacks. It remains to be seen if the administration will interpret this development as a success and lead to the gradual extension of the “degrade and destroy” doctrine to ISIS in Libya as the group grows and garners further attention. This is something we have warned about in a Newsweek article. 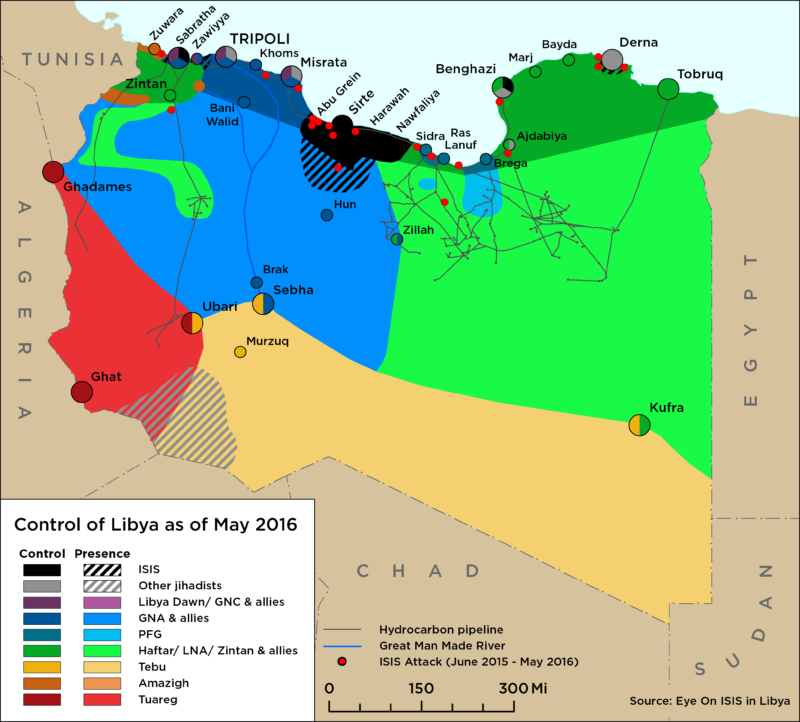 France confirmed that it carried out ISR flights over Sirte on 20 and 21 November, aimed at collecting intelligence on ISIS movements. Additional ISR missions will be flown shortly. 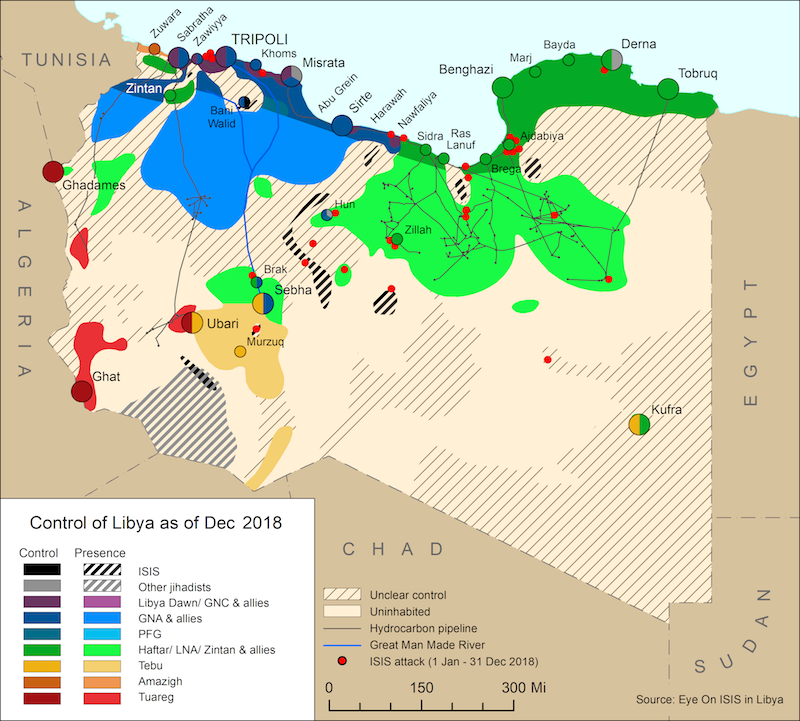 A new UN report on ISIS in Libya issued 1 December indicated there are between 2,000 and 3,000 members of ISIS in Libya, about 1,500 of whom are located in Sirte. Furthermore, roughly 800 Libyans who had previously fought for ISIS in Syria and Iraq have returned and are now fighting for the group in Libya. All these factors clearly indicate that it is not paranoia to assume that Sirte would likely become the movement’s global capital if its leadership was displaced from the Levant. ISIS is making use of the spotlight, releasing a flurry of promotional media in tandem with these reports, showing how it successfully turns Western fears and actions against it into its best recruiting tools.